I took the idea for this year's Father's Day cards from this project. 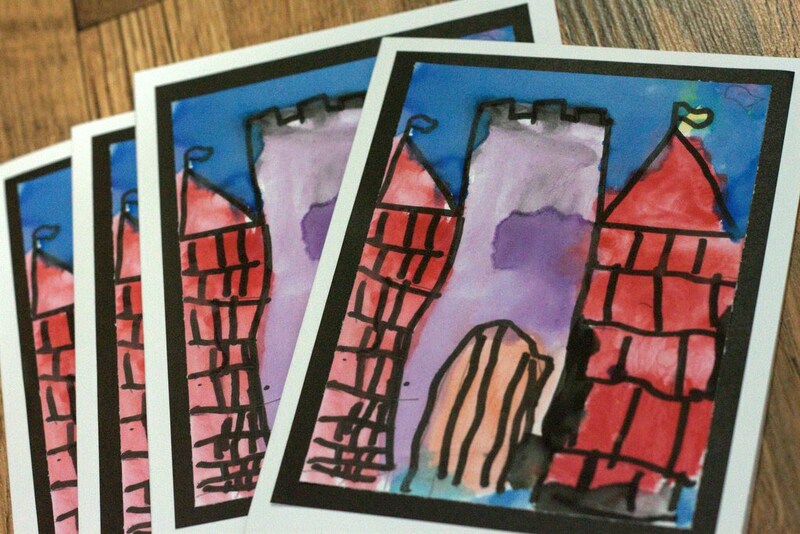 The kids drew, outlined, and painted castles; I scanned them and printed them out to mount onto cards. Original art from kids is priceless in my opinion! I think they were a hit and the kids were proud of their artwork!